Hi all! It’s been a FLURRY over the last month – turns out if I decide to go for something, I go get it. That means that once I decided I’d invest more heartbeats into this blog and into these lettering and planning communities, it would mean I could get a lot done in the little time I have outside of my regular day-job. In that spirit, I have a few fun updates! 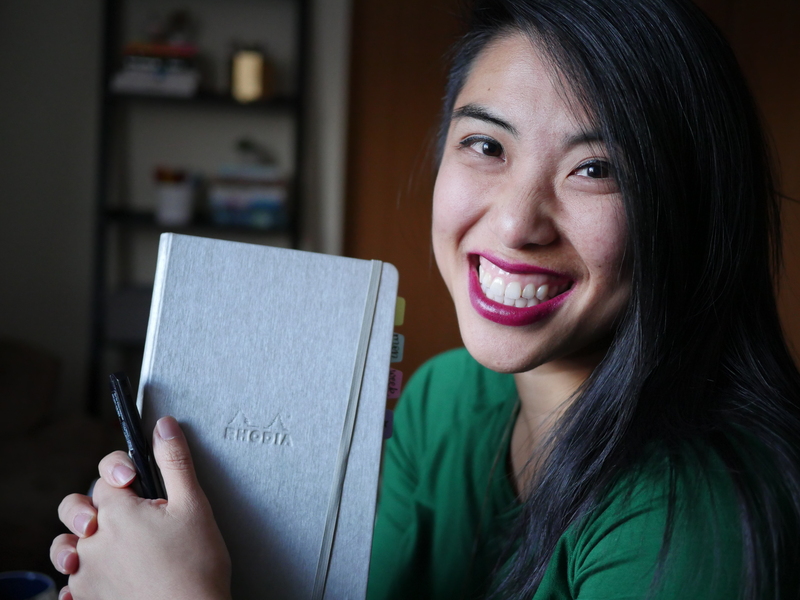 I took the plunge and have gotten into Periscope (PrettyPrintsandPaper) – a live-streaming app that allows me to share, in the moment, what I’m up to. These live-chat videos are going to be a fun way to engage with you, do some quick how-tos (read: much less work than YouTube). If you have questions or ideas in mind, let me know in the comments! Video begets video apparently, because I’ve connected my YouTube Channel. Other ways to share in the fun: Facebook and Twitter. Anyway! My first real YouTube splash comes in the form of a lettering video for the first day of #TogetherWeLetter, a challenge hosted by @LissLetters (amazing and talented gal). The theme is “Blue” so I’m using a blue Sai watercolor brush pen (affiliate link) to letter this powerful quote. Check out the video and subscribe if you want to stay tuned for more! If you have favorite quotes you want to see lettered, or if you want to see samples of a certain pen in action, let me know in the comments! I’d love to hear about what you’d like to see and then try to offer it. Y’all are the best. There may be affiliate links in this post, which just means if you happen to buy something, I’ll get a small commission at no extra cost to you — which comes back to support my blogging endeavors. Thank you for your support! Love the video! What type of paper are you using? I’m very new to brush lettering and have so far only used grid paper from my Rhodia pad. Do you have any tips or tricks for keeping words and letters in a straight line when not using grid lines? This is a Sai watercolor brush pen! For lines, there are a few tricks. You could draw in light pencil, you could draw really intense lines on paper and put it underneath as a light guide, you could also go to home Depot and get a laser leveler to shine a light in a straight line!